Entering the year, he says the team’s goal is to “finish every race and place top-five in points” at the end of the season. 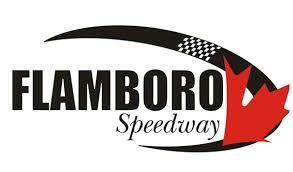 Though outside of their program at Peterborough, the team will also be aiming to do well in invitationals across the province at Jukasa Motor Speedway, Flamboro Speedway, and possibly Sauble Speedway. For Penny, racing is something that has always been in the family, beginning with his dad Al in 1985 with his uncles. Penny then got his chance behind the wheel in 2004, and has been full throttle ever since, with the most memorable moment being when he placed second in the year-end points one season despite no victories. As far as advice to those looking to get started, he kept it simple in saying “have deep pockets and a lot of sponsors,” which follows the theme of how fast we’ve seen the class grow.